I was attempting a shortcut in baking my squash, and planned to cut through the veg when it was a bit softened, and then scoop out the seeds. 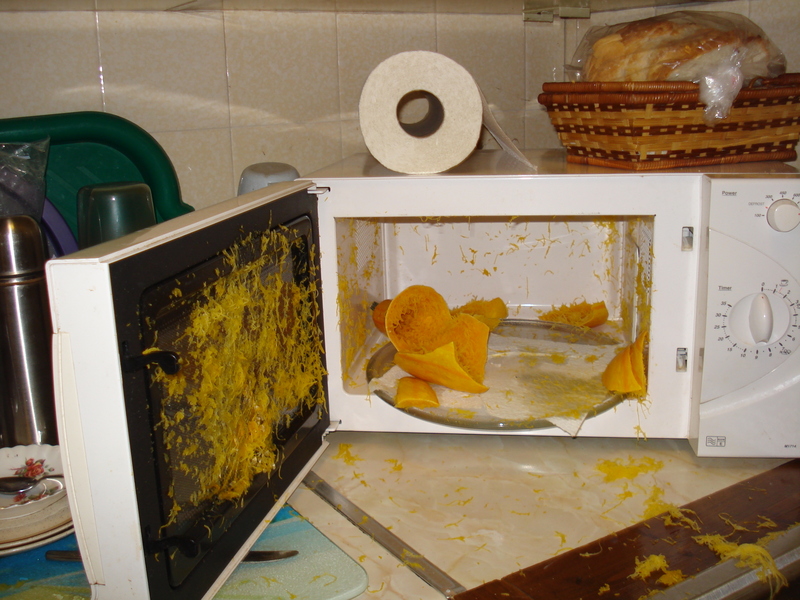 At a certain point, the microwave door burst open, flinging glassware off the counter and spewing squash bits everywhere, 6 feet and more across the room (limited only by walls). I was lucky there was only one broken glass, and I was around the corner at the time, so no injuries. After this one, I always cut my squash in half and scoop out the seeds FIRST!